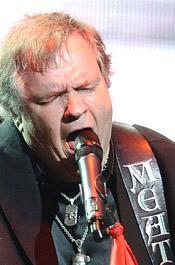 The singer Meat Loaf, who last night endorsed Mitt Romney at a raucous rally in Ohio, is not registered to vote in his home state of Texas, and this week sought a mail ballot from a Los Angeles home that he sold 17 months ago, records show. But as for actually voting for Romney, Aday appears to have a problem. But Aday never got around to registering to vote in Texas, according to Travis County voter registration records and representatives with the county’s voter registrar. To be eligible to cast a ballot on November 6, Texas residents had to register to vote by October 9. The singer, however, remains registered in Los Angeles, where he last voted in November 2008, according to records. Aday, who lists no party affiliation, is currently registered to vote from 25057 Abercrombie Lane in Calabasas. The singer purchased the 7000-square-foot mansion (in the name of the Abercrombie Lane Trust) in 2005 and lived there with his wife for about six years. The real estate trust sold the property last year for about $3 million--but Aday never canceled his voter registration (or switched it to another address). 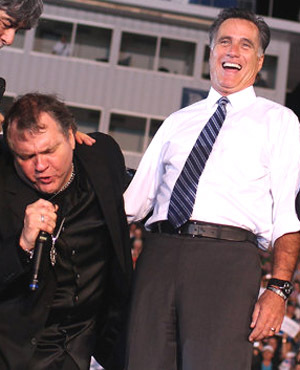 However, earlier this week--two days before the Romney-Meat Loaf summit in Ohio--Aday requested a vote by mail ballot from the Los Angeles County Registrar-Recorder, records show. Sent out only Tuesday, the ballot has not been returned, according to a county spokesperson. Texas resident Aday is not registered to vote in the red state. 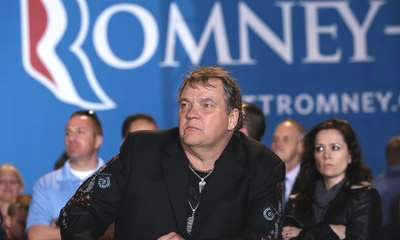 On October 23, two days before appearing onstage with Romney, the singer sought a mail-in ballot from California for the November 6 election. Aday remains registered to vote from an L.A. county home he sold in May 2011. Sounds like a case for James O’Keefe and his fellow voter fraud bloodhounds.